Digital communication, from social media to your individual web page, doesn’t just offer opportunities for business; it is filled with traps that can put businesses at the wrong end of a class action lawsuit. That doesn’t mean you need to stop your digital marketing operations, but you can take steps to reduce your legal liabilities. According to the law firm Jackson Lewis, NJBIA’s HR legal hotline provider, website accessibility, employee biometric information, and online assessments of job candidates are some of the areas employers need to watch. In the firm’s latest Class Action Trends report, attorneys Stephanie Adler Paindiris, Eric Magnus and David Golder discuss some of the preventive strategies employers can use. Here are three things employers should consider. The Americans with Disabilities Act (ADA) applies in cyberspace too. Websites that do not comply with “WCAG 2.0 Guidelines” could be at risk of denying access to people who are blind or visually impaired, which violates the ADA. A number of states have enacted statutes regulating use of “biometric identifiers”— fingerprints, voice prints, retina scans, etc.— mostly used for security and time management. Using online assessments to measure a job applicant’s fit for a particular position is an effective way of narrowing a large pool of candidates. It could also run afoul of the ADA if it excludes people with personality traits that could be considered a mental disability. 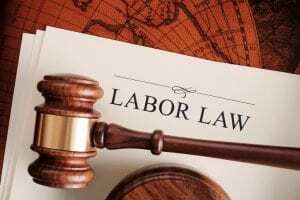 Finally, remember that many of the labor laws that have been around before the digital media revolution can be applied in many online circumstances.